Kahala Beach is our most requested Wedding location in Honolulu, a quiet place with nice landscaping, green grass and coconut trees. The peninsula at Kahala Beach and a little island give it unique landmarks, as well as the backdrop of Koko Head in the distance. Though located by a Condominium and Hotel, this beach is surprisingly quiet and secluded. The coral rocks in the sand keep the sunbathers away, so we have a nice beach without people on it. 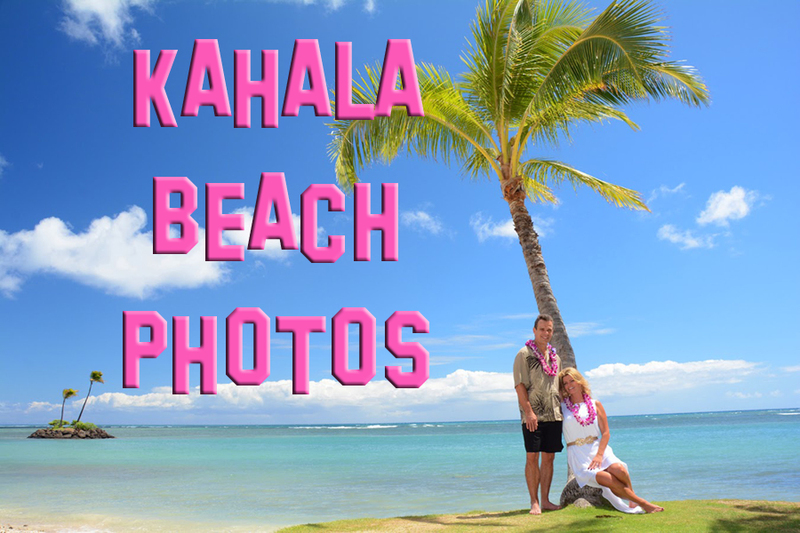 Be sure to visit our PHOTO GALLERY of Honolulu Weddings at Kahala Beach and other nearby locations. 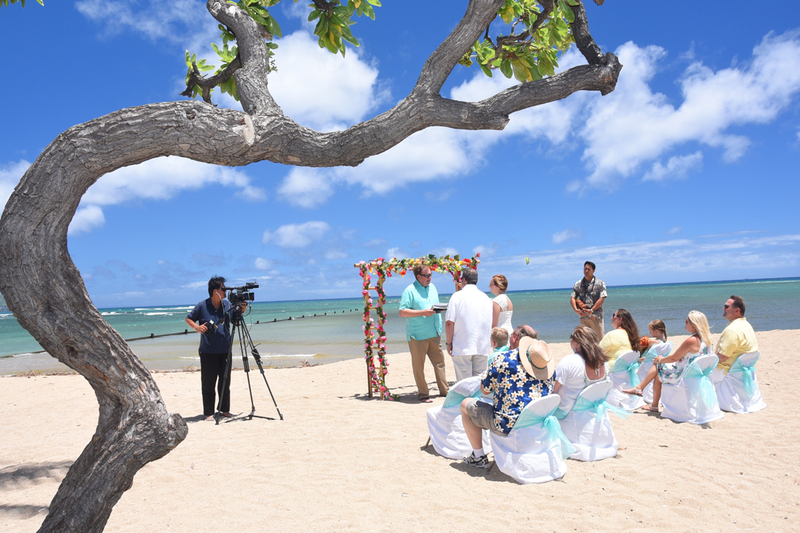 This wedding location is walking distance from the KAHALA RESORT HOTEL and is a much more affordable alternative to the Gazebo at the Resort. For smaller weddings with several guests we recommend this wedding package.